September's Student of the Month is a dedicated front-row ryder who gives everything she's got every...single...time...she rydes; even at 5:30 in the morning. She comes ready with her game-face on, ready to tackle any challenge we throw her way. Put your hands together for our Student of the Month, Kelly Drach! It's been just about three years TO...THE...DAY since this Power Ryder started ryding with us. From our old spot to our new spot, she has stuck with us and continued to ryde a couple times each and every week. And did we mention, she gives 110% EVERY...SINGLE...TIME she rydes?! Put your hands together for our Student of the Month, Bridget O'Connor! 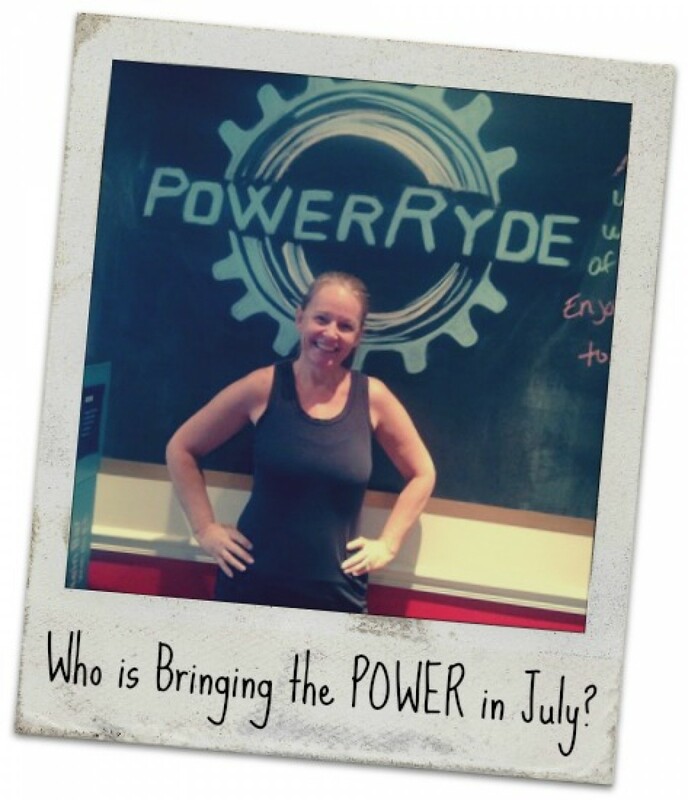 Who's Bringing the POWER in July? This Student of the Month always rydes with a smile on her face and a passion in her eyes. Not only does she hoot and holler throughout class, she also dances a little bit...but that would make sense since she used to be a Zumba instructor! Who is "she?" SHE is Michelle Neuman!! 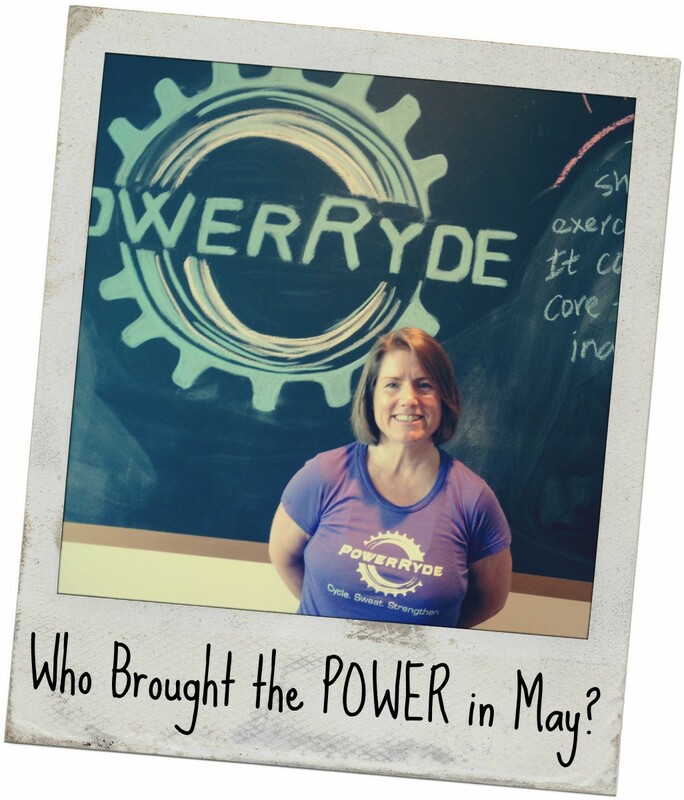 Who Brought the POWER in May? Who brought the POWER in May? Put your hands together for this evening ryder who comes 2-3 times every week and never misses a beat! Who is she? Open and keep reading to find out! Who's Bringing the POWER in April? 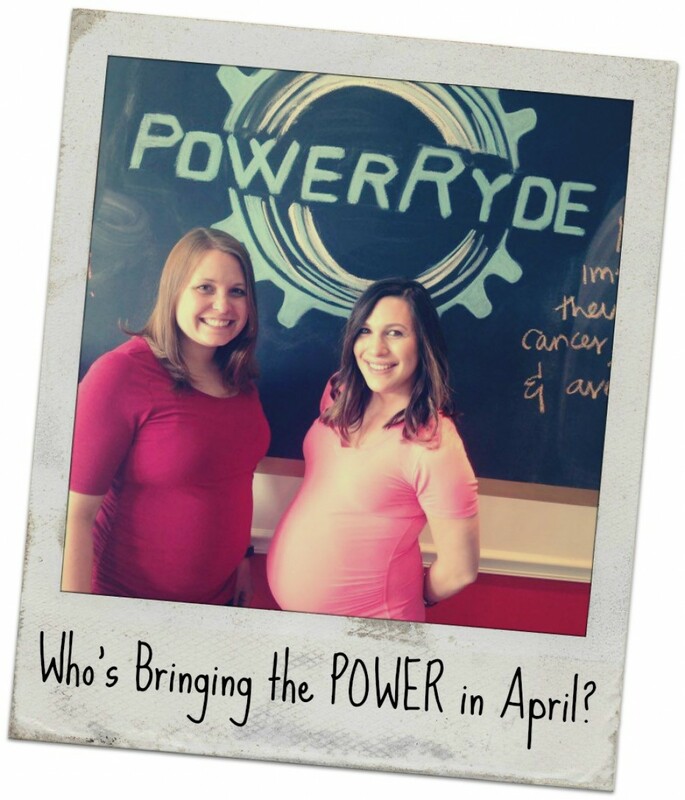 Pregnant and Power Ryding! Who says you can't get your shake on with a baby on the way? 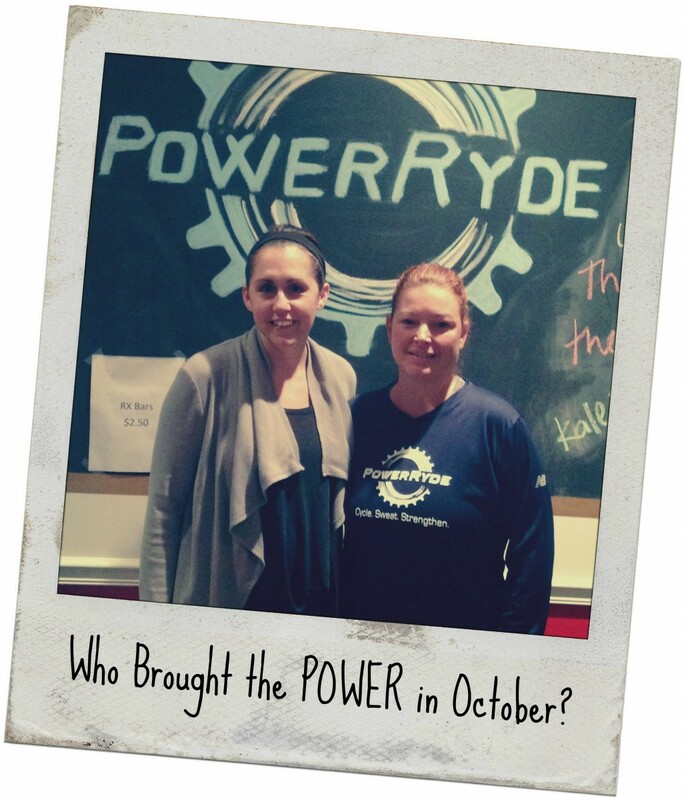 This month we recognize two newer Power Ryders, Sarah and Emily, who started ryding together in January and haven't looked back! Keep reading to learn more about these always-smiling ladies! February might be the shortest month, but that doesn't make it any less special than the other 11 months. That's why we decided to honor THREE Power Ryding Power Houses! These ladies ryde early, they ryde low, and they ryde LOUD. Put your hands together for our "George-ettes'! This month we are honoring one of our favorite "Back Row Ryders." That's right, front row doesn't get all the attention! She is far from shy...maybe one of our most outgoing Power Ryders...but she likes her some back row, fan action! Did I mention, she always looks perfect when she enters and exits class?? Hmm...maybe those fans do have magical powers, or maybe she just likes a good Beyonce moment?? Cue the fans and put your hands together for Amy Lipcius! These two ladies are not only sister-in-laws, but they are also workout buddies. They keep one another accountable for their workouts...even at 5:30 in the morning! Put your hands together for Kelly and Lena Mondy! August's Student of the Month not only brings energy to each and every class he attends, but he also brings a smile and a spirit that is unmatched...even at 5:30am! Appropriately nicknamed, Gene the Machine, put your hands together for Gene Stallworth! 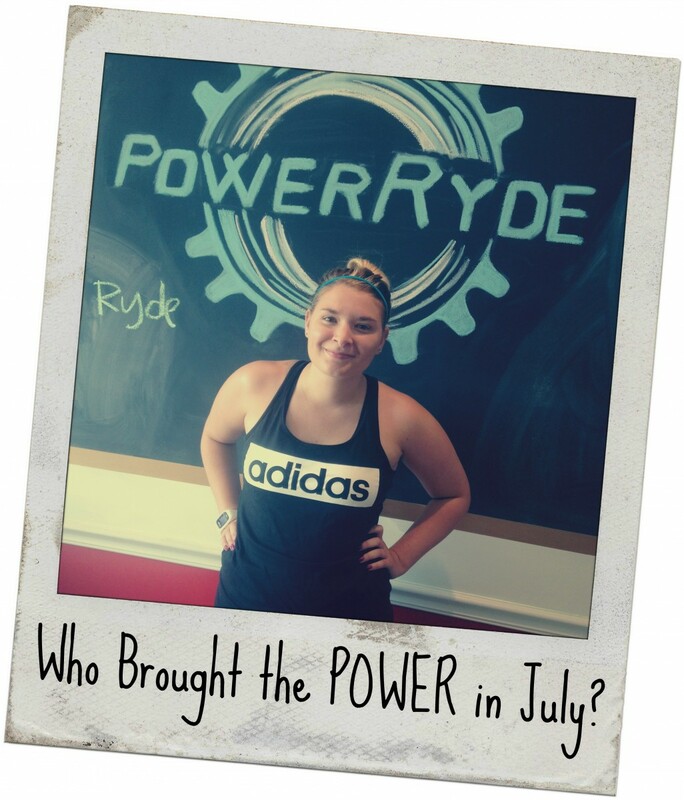 July's Power Ryder of the Month is a young lady who just recently started coming to Power Ryde. She started in June and has already done 40+ classes; often ryding first thing in the morning, going to work, and then coming back for a second class in the evening. Put your hands together for Holly Von Sossan! 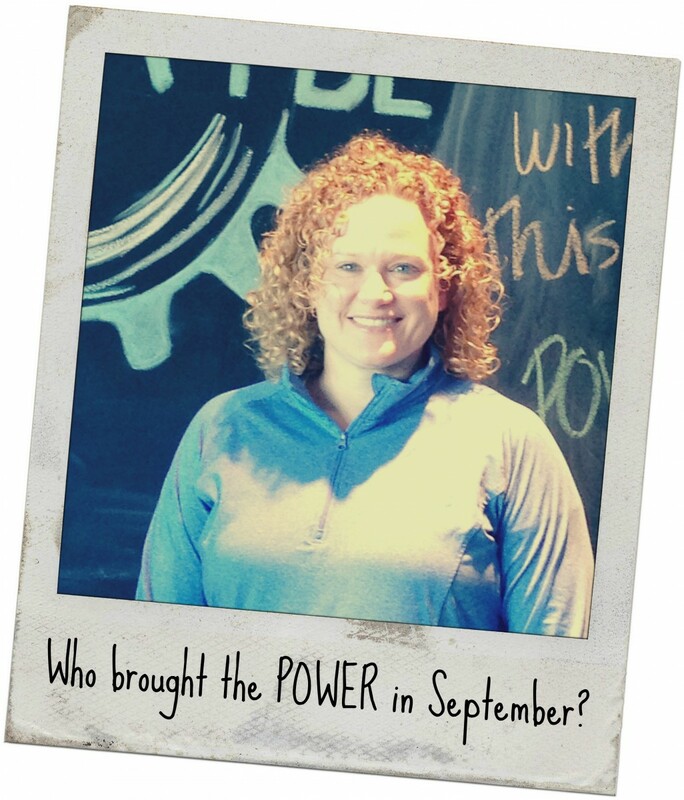 This month we are honoring a student who started coming to Power Ryde about a year ago. This student has always given it her all in class but I swear, in the last couple of weeks she has come so far. From ryding predominately in the saddle, she is now out of the saddle rocking the bike side-to-side with ease. Put your hands together for Lauren Aiello! 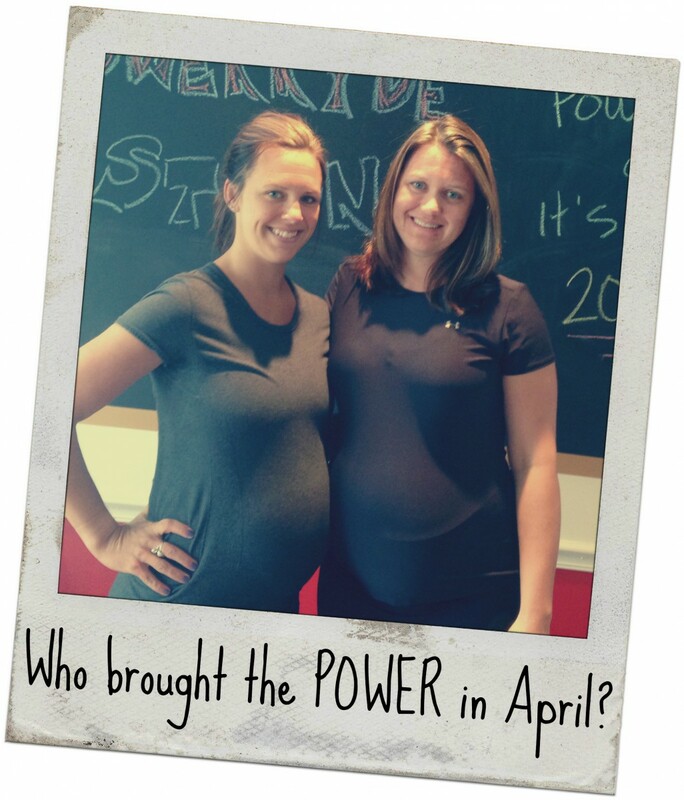 Who Brought the POWER in April? 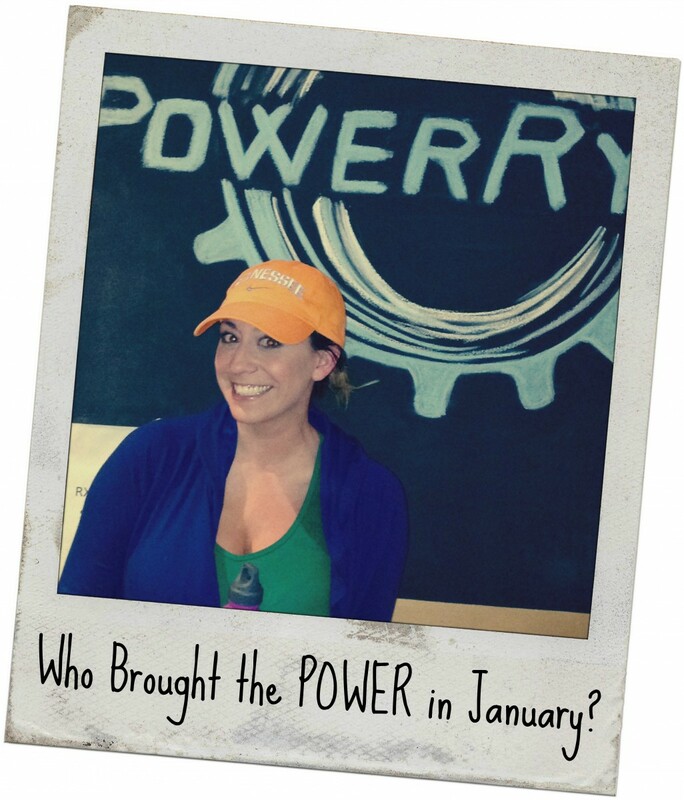 This month we are giving it up for our Three Musketeers; Amy, Julia, and Kelly. They were running buddies turned Power Ryding fiends! 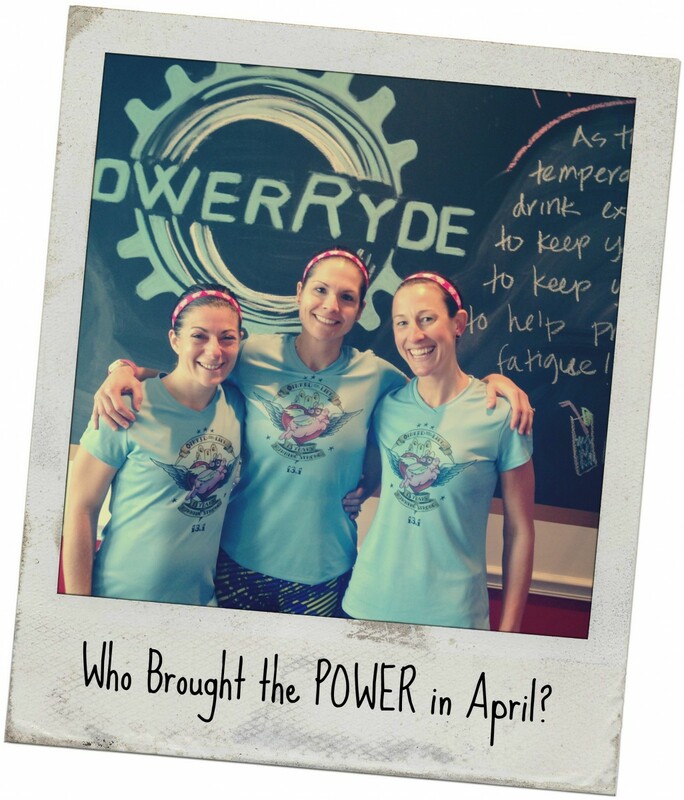 Keep reading to learn more about why these ladies love Power Ryde and how Power Ryde helps them RUN FASTER! When brainstorming who should be our next Student of the Month, we wanted to do something different. We've had friends and co-workers, but never have we done a couple! 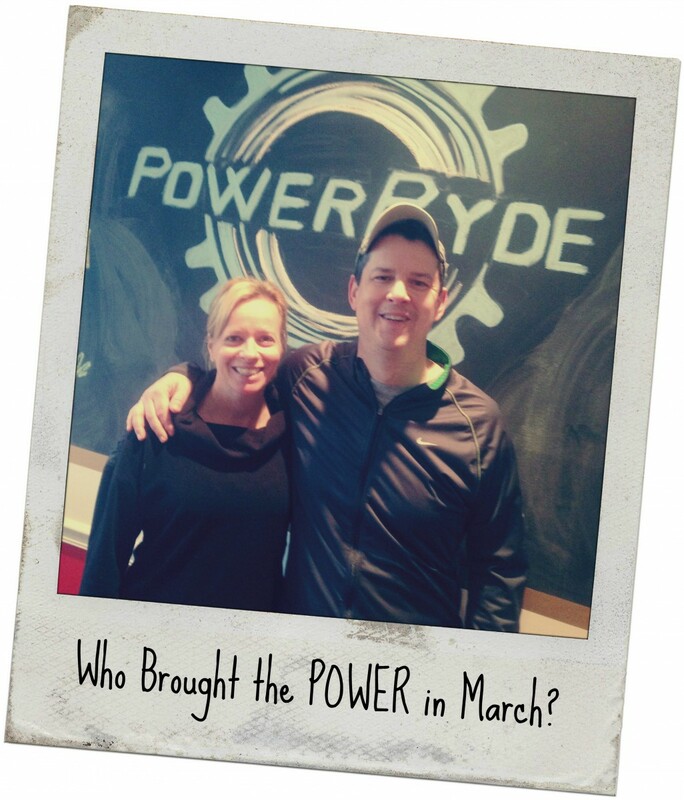 This month put your hands together and give it up for power [ryding] couple, Kevin and Linda Riley! 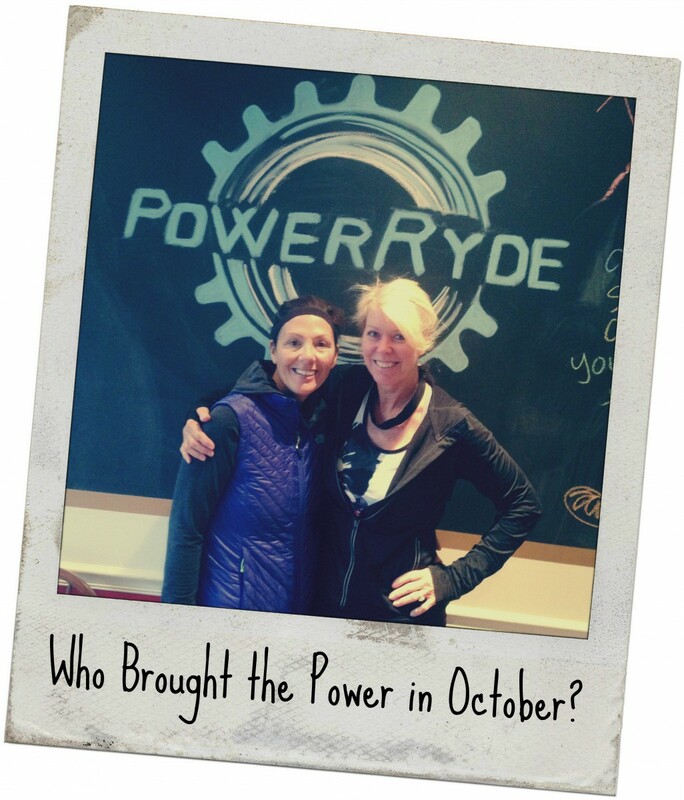 October's Student Spotlight goes out to two friends (from years back) who reacquainted through their passion for Power Ryde classes - Andrea Batchelor and Linda Bessey! 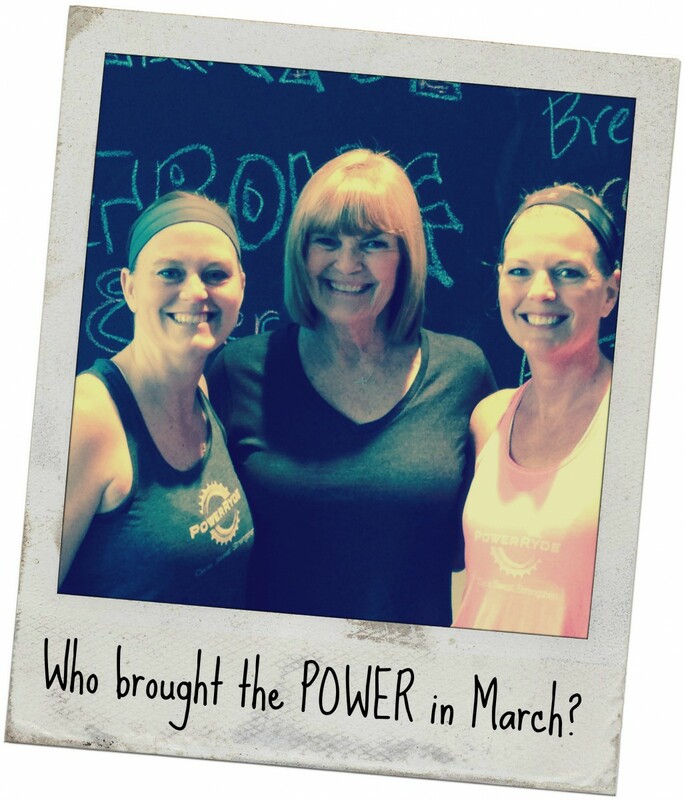 Today, Andrea and Linda are inseparable; they ryde together, they lunch together and most importantly, they keep each other accountable for their workouts! Ever wonder why we don't spotlight more male ryders? The wait is finally over! 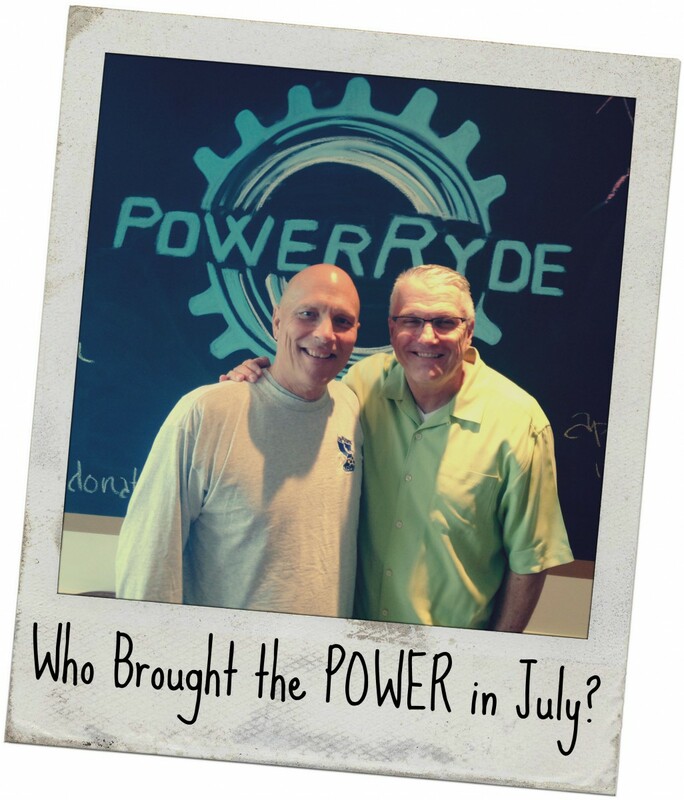 This month we are highlighting not one, but two, of our avid male Power Ryders! From working together to RYDING together, continue reading to learn more about Beau and Don and how they came to be such strong RYDERS! 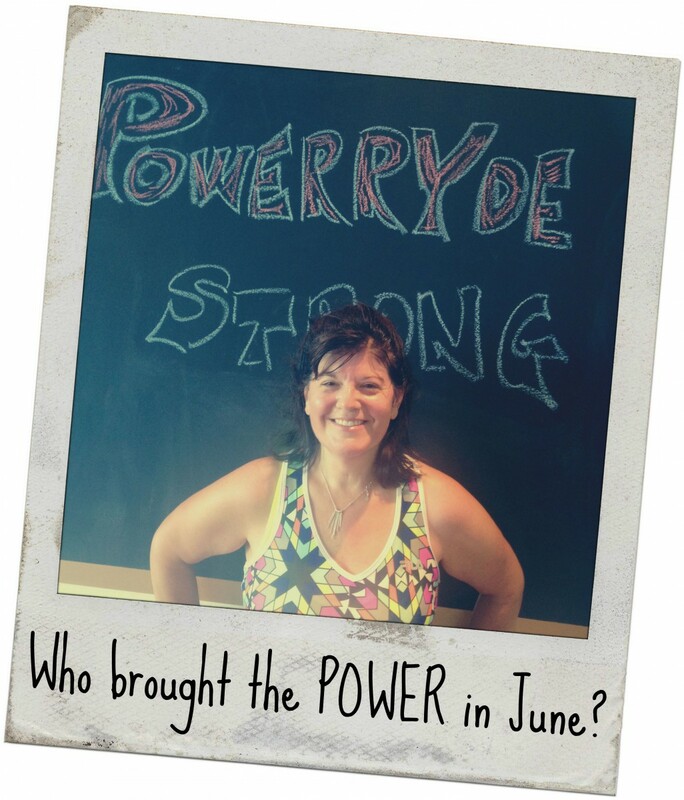 Who Brought the Power in June? 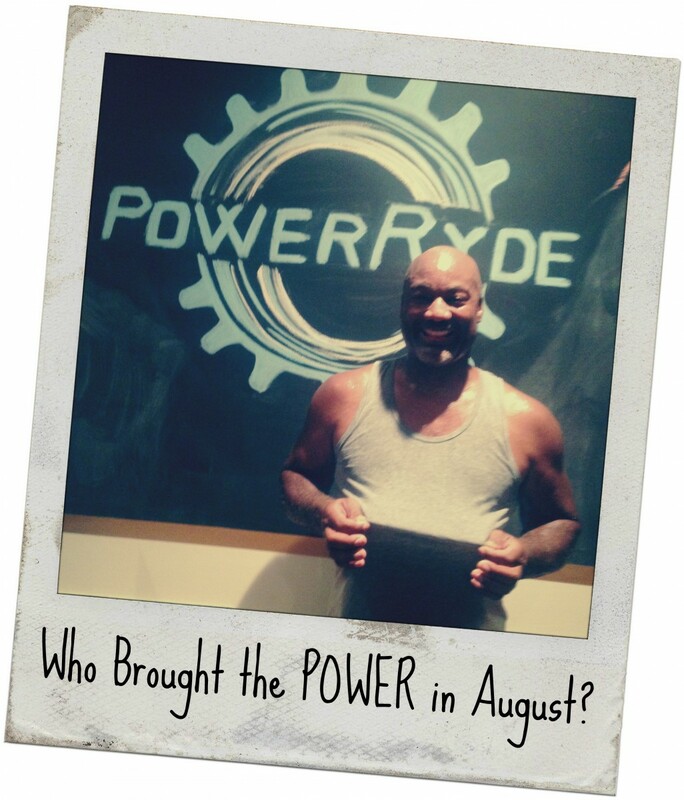 Last month we recognized a Power Ryder who has been with us for almost two years. 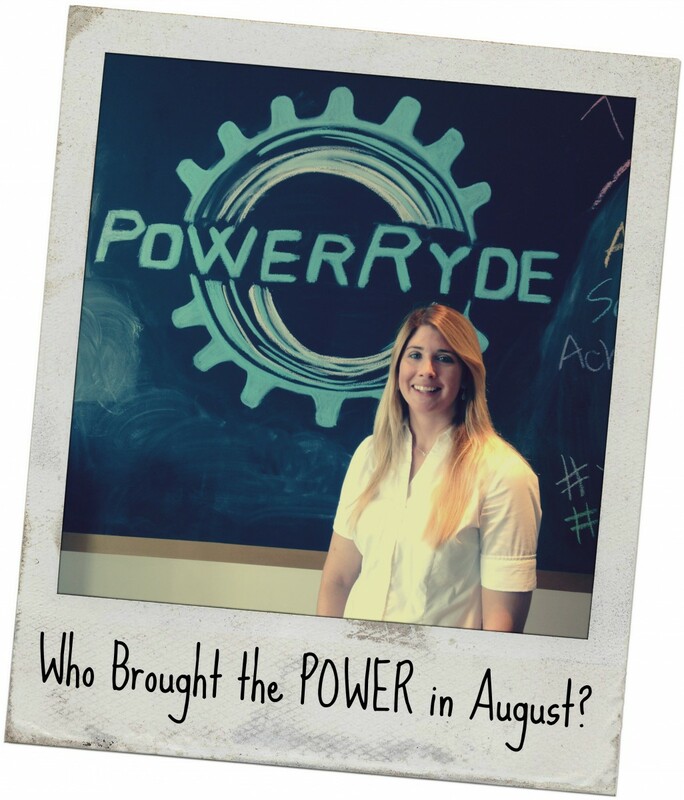 This month, we're recognizing a newer Power Ryder, Cindy Reichman! 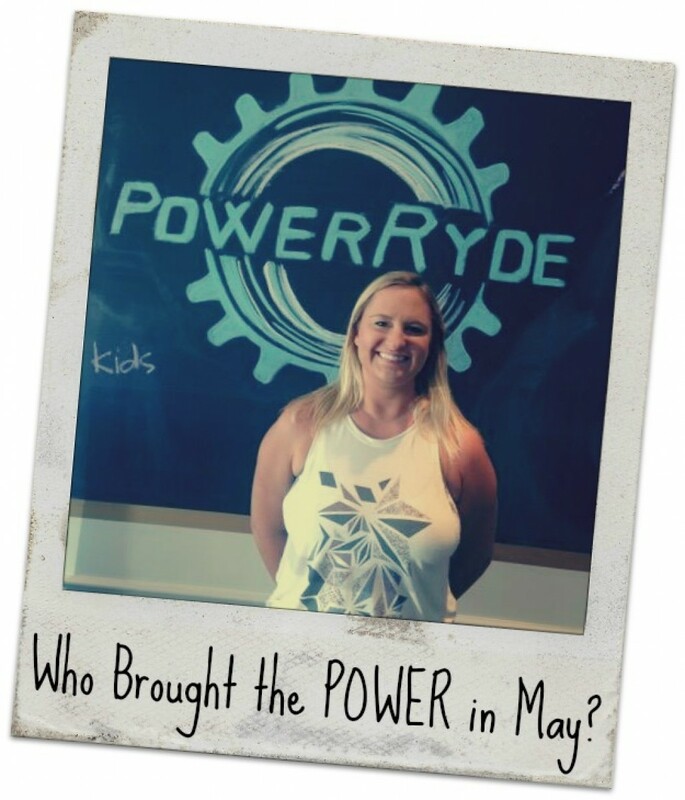 Cindy has only been ryding since the end of March, yet she has already become part of the Power Ryde family! Give it up for Cindy - a strong, high energy, chatty, and super funny ryder who brings it, each and every class! We aren't celebrating one, two, or three students this month…we are celebrating FOUR!…well, sort of! 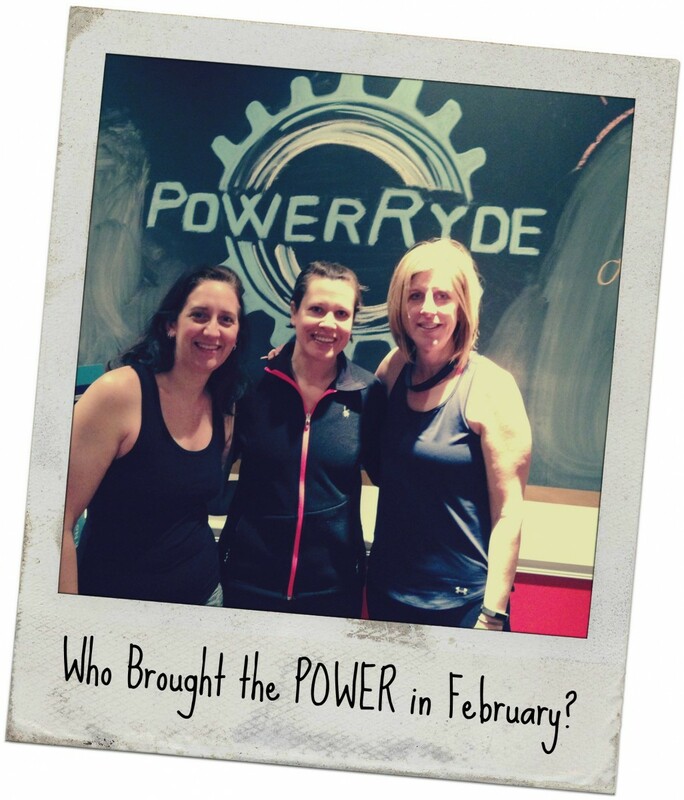 These two moms-to-be have been avid Power Ryders for months and have continued their weekly rydes even while pregnant. Continue reading as we get to know a little more about Kelly and Stephanie and what it's like RYDING for two! Remember our student spotlight posts? After a long hiatus, they are BACK! And in March we did not have one, nor two students of the month…we had THREE! That's right three ladies who BROUGHT THE POWER all March long. These ladies are extra special because they are a mom and two sisters. Keep reading to learn all about Lynne, Jamie, and Shannon!